If you just installed Windows 8 on your laptop and the screen won’t stay at the brightness level you want, it’s probably because the adaptive brightness feature isn’t working right on your system. Here’s how to disable it. Naturally, it would be best to have the feature actually work, so you could make sure to update your drivers. If you still want to disable, here’s how to do it. Just so we’re clear, here’s how to change the brightness on your Windows 8 laptop… hit the Win+I shortcut key combination (that’s a capital i), and then you’ll see the brightness control right there. On my MacBook Air, this setting kept fluxuating up and down. 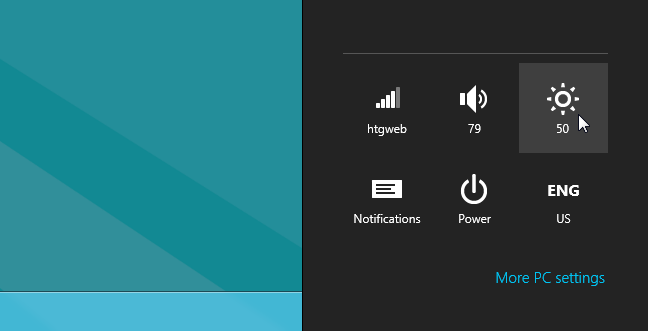 Open up the Windows desktop with Win+D, click the power management icon in the tray, and then choose More power options from the menu. 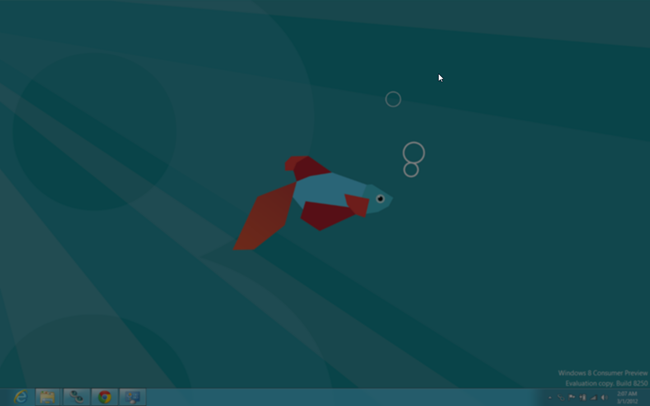 Note that you could also use the Metro search screen to get to the Power Options panel. Once here, click the “Change plan settings” link on the selected plan. Then click the “Change advanced power settings” link. And now, browse down to Display –> Enable adaptive brightness, and change the settings there to Off. 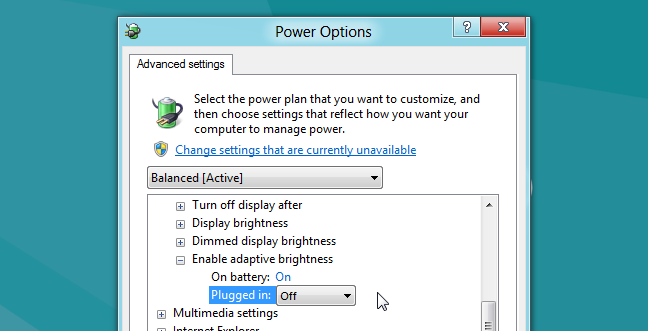 Changing this setting fixed my brightness problems on my MacBook Air running Windows 8 through Boot Camp. "The Geek"